This article will describe installing Cockpit. 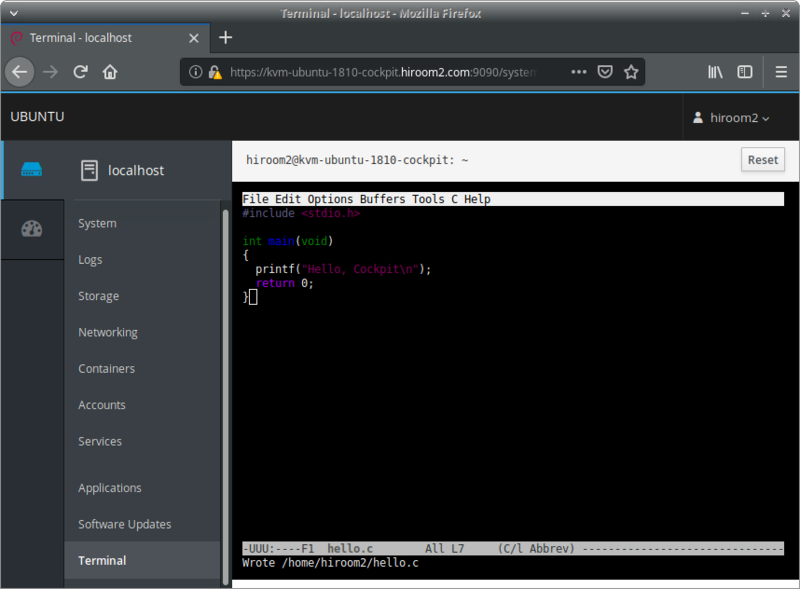 Cockpit supports systemd service management, journald viewer, account management and terminal operation by default. The cockpit-docker supports Docker management. 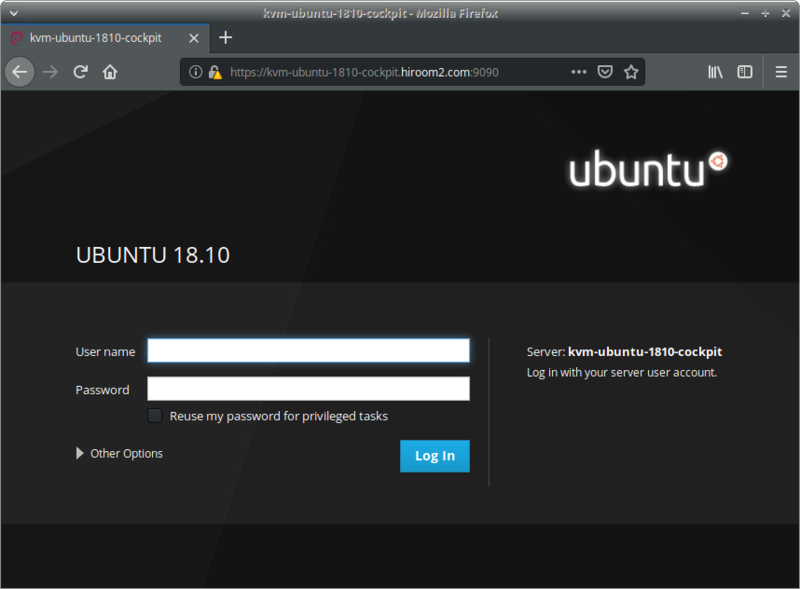 Login with Ubuntu local user. Running emacs on byobu on Terminal page is the following. BUt Ctrl+a and Ctrl+n is browser shortcut on current Cockpit.